• This chair weighs 9 pounds. • This item can be customized with your logo. Please email us for more info. • Weight limit is 250 pounds. Out of the box an set up! Very comfortable and I love all the pockets and my side table. Pleased with the item, gave it to my father for Christmas. Will be great for East Carolina tailgating with our purple and gold. The higher seat and sturdiness as well as finding purple was key. There is no chair ANYWHERE like the one I bought. It was worth every single penny. Do yourself a favor and get one. I NEVER write reviews but I had been eyeing this chair for over a year. I thought it was a bit pricey but it is very well constructed and beautiful. Not to mention comfortable oops I did mention it! 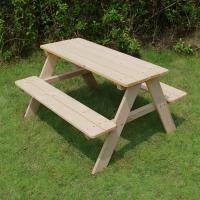 Great for picnics or on the patio. This chair is lightweight, durable and lasts a long time. I know because two have been in our family for at least 4 years. All year around have been used frequently. Love it! It's so sturdy,and yet so light and easy to carry. I had it over my shoulder as I packed the car, and forgot I was carrying it because it weighs about the same as my purse. Very handy pockets for all the things I wanted close at hand at a dog agility trial. Very easy to set up and fold back up - much easier than a bag chair, and much easier on my back. I really like this chair. I bought to take to horse shows, carriage driving clinics and my nephews baseball games. Plenty of room for a plus size woman like myself and lightweight enough to easily carry with the handy carry strap. 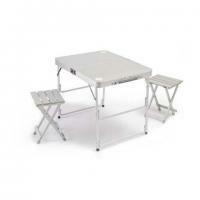 The fold down table is great for use at clinics and such where I need to take notes and lots of pockets to put things. Definitely worth the money! Already own 2 of these chairs in blue (purchased 5 years ago) but the wife loves purple - very well built and durable product - we do a lot of desert & dirt "dry camping" and the chairs see a lot of hard use - will purchase again if they ever wear out! 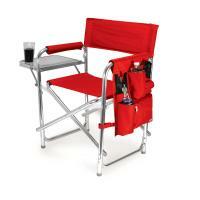 I love these chairs, with pockets for laptop, phone, and insulated drink pocket. The side table is SO handy. In addition, the chair is most comfortable. Fantastic chairs! They were given as gifts to our swim team coaches (we also got their names put on the chair backs at a local company) and they LOVE them. They are well made and functional. Excellent product. We bought these to use at Arts & Crafts Fairs. Perfect! Easy to set up and the attached table is sturdy, the organizer just great. This is a fabulous chair! Having the side table has been a real bonus for any function. No more balancing drinks and plates. The side pockets hold everything including my phone, water bottle, set of keys, extra hand wipes - anything you can think of. We get comments on the chairs every time we use them. We love the different colors too. These make a perfect gift for anyone! 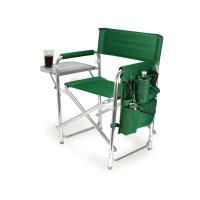 This is the 7th folding chair I have purchased through Picnic Time. I belong to a Kite club and we spend most of our weekends on the beach flying kites. I have given 6 of these chairs as a gift. Everybody loves them. 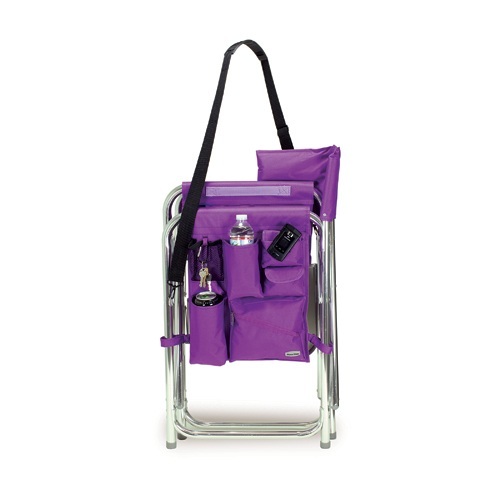 They are sturdy, easy to carry and has numerous pockets for camera, cell phone etc. Highly recommended them. 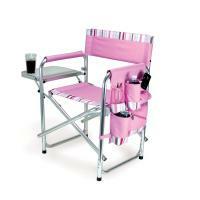 I have had two of these chairs for 6 years and ordered two more for guests when they come to our camp. They are strong, comfortable, well wearing and the best camp/beach/ball game chair I've found anywhere. The chairs were purchases as 'Coaches' gift for the varsity swim team coaches of my daughter's swim team. The coaches loved them! The tray was a big hit as was the side pouch to hold all their 'stuff'. Besides being very comfortable, the purple, the team color, was a major hit. The kids also liked them as they can now find their coaches on a crowded pool deck! This oversize chair is comfy, strong, and yet not too heavy. We have only used it a couple of times so far, but it should last us many uses. We have 4 and this chair was a birthday gift for my Mother. Great chair and well built! I have seen some knock-offs and you can sure tell the difference! !-- Not to mention a gorgeous color!!! I LOVE the chair you sent! It's exactly what I was looking for and it is SO strong! Thank you for carrying such high quality merchandise. It is light weight, strong, easy to pack and store. It is very durable, great color choices, and very comfortable. The surface on the table chairs bought last year has peeled off. New chairs are great but still have same surface on the table. We love these chairs. I wish we could resurface or exchange old ones. We saw these chairs at a friends house and just had to have them. We have a lot of get-togethers and never have enough table space, so with the side table attached to the chair, it works out perfect. Also,the chairs are very comfortable. My sisters and I bought these chairs for dog shows. They are comfortable and light-weight. We love them and get inquiries all the time on where we got them. My daughter Kim was marching for Parma High School's Marching band in the 4th of July Parade and I took the two purple chairs with me because my friend Susan came to watch her march too. As soon as I opened up my chair, I was asked where I bought it. Even during the parade people walking by asked me where I got such a nice chair and I gladly told them. This past Sunday we took them to the Timar family (Mom's side of the family) reunion and everyone there had to try it out. If you receive some orders from folks in Ohio, you know who probably referred them to you! Kim and I just LOVE OUR CHAIRS!!!! I will probably order a couple more because I think they would make nice gifts. I love my purple chairs. They are lightweight and easy to set up. I bought them for my sister's birthday and we both enjoyed them at a recent dog show. Kudos to your quick delivery. Also, no assembly! I saw this chair with someone else at the park one summer. I didn't ask them about it, so I looked on line and found your site and purchased 2 chairs in 2 different colors just in time for a Jazz concert in the park and MAN did my hubby and I get the LOOKS. We had the best chairs at the show. We didn't have to hold our drinks or food on our laps either because we had sturdy trays and all types of holders for all our stuff. Thanks for Great chairs and wonderful colors to choose from. I LOVE this chair. We fly kites on the beach in Florida and these chairs are fantastic. 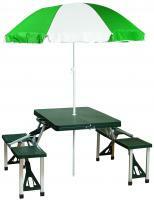 It is comfortable, easy to carry,and easy to set up. I have purchased 4 of these chairs in 4 different colors, and most likely will purchase more. 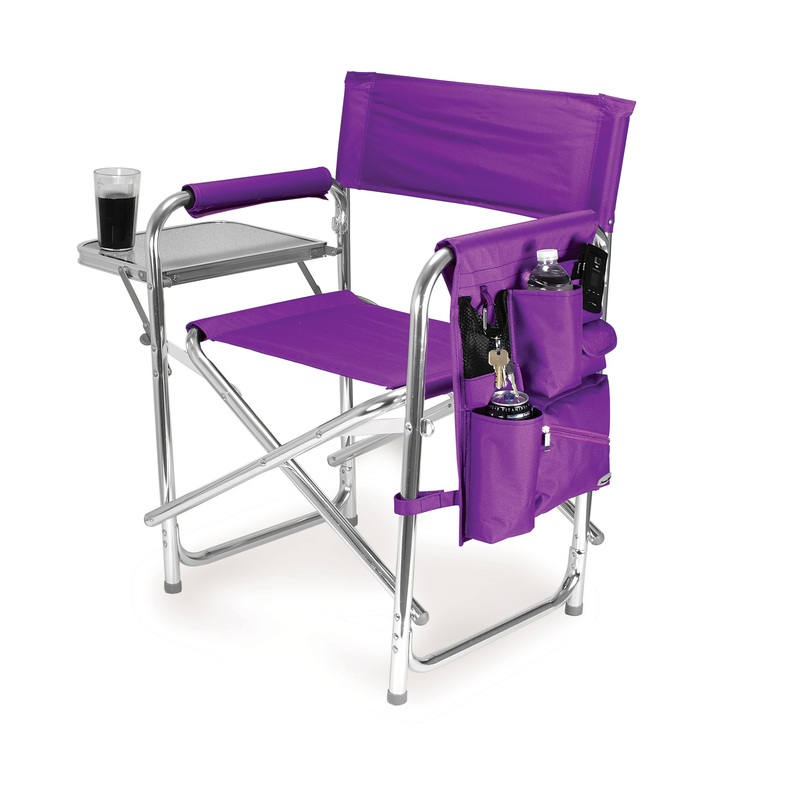 I searched high and low for sports chair that I could take to car shows (that also matches the interior of my car - purple!) and I found it here at the "your website". 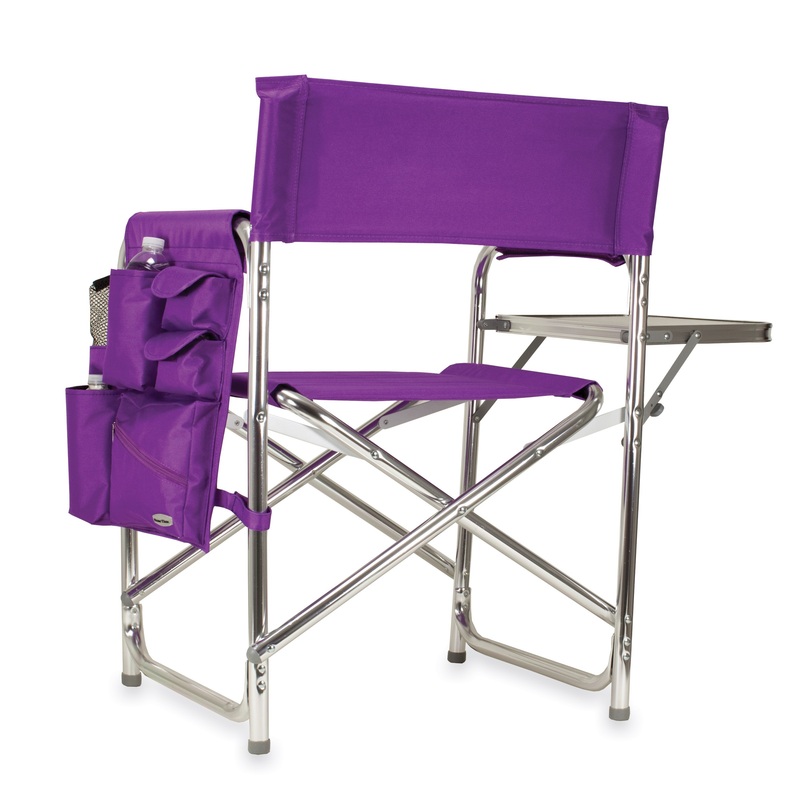 It is very comfortable, sturdy and folds up pretty compact. The pockets come in very handy and the fold-out table is just great. I would by this model again and or recommend it to anyone. These chairs are better than I could imagine. They are light weight yet very sturdy. This is an awesome chair. It is easy to carry, and comfortable to sit on. We have to sit and wait a lot at our dog trials, and this chair makes the wait much more tolerable. (It is also very stable on soft ground.) Unfortunately, every time I get up, when I come back to the chair, someone else is sitting in it! The pockets, allow me to put my water bottle, etc. 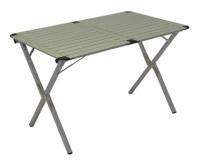 somewhere stable (and out of sight), and the fold up table is great for the quick lunches we often have to eat! I love chairs!!!! In the beginning of the summer I bought 2 of these chairs and everywhere I go I tell people how great they are!! My husband says I should be on your payroll because I keep telling people about your site so they can order these chairs too! !I will be ordering more for Christmas presents. you have wonderful products!! This are solid & comfortable chairs! Many people ask where they came from! This is an excellent chair! I could not find the color anywhere else. The chair is very nice. I thought I was getting a chair with folding table with a "cup holder" in it. Not your fault. I just didn't notice. Otherwise, we love it! I like the chair, but wish it had a real cup holder in the table. The chair itself is great! It seems to be well made and light. I would recommend this chair. The only problem with my chair is the color. I ordered a purple chair. In the add it looks like a rich deep purple, what I received was more like a light violet color.